E-commerce spending in the UAE increased by 48 per cent during 2018 as opposed to 2017, said the senior president and head of Payments at Dubai-based Mashreq Bank, sharing his review of UAE spend trends for 2018. 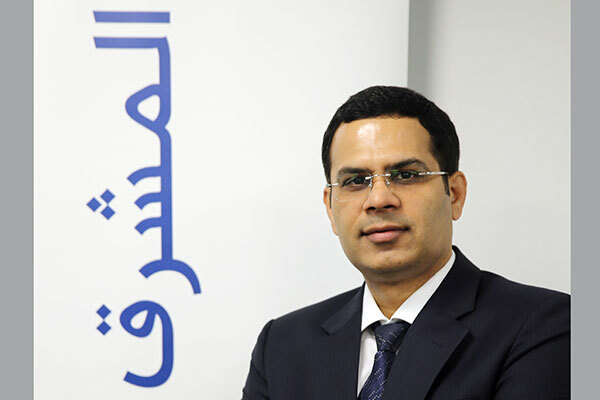 “While some sceptics may look at 2018 as a slow year in terms of UAE retail card spending, actual data collated by Mashreq bank’s merchant acquiring business shows otherwise,” added Pankaj Kundra. “As one of the country’s largest merchant acquirers, Mashreq is ideally placed to analyze consumer spending patterns and behaviours across a range of diverse industries. We use our data analytics capabilities to share insights with our merchant partners, to help with their business planning and decision-making. Consumer card spends experienced a 6 per cent growth in 2018, compared to 2017. In terms of sector wise performance, growth was driven by food and beverage, which increased by 20 per cent, followed by a 16 per cent growth in supermarket spends. Hospitality continued growing with a modest increase of 2 per cent. The push towards digitization of payments has led to strong growth in real estate and government services, which grew by 34 per cent and 12 per cent respectively. The retail segment comprising clothing, shoes and bags showed a growth of 3 per cent, while specialty perfumers revealed a decline of 6 per cent. Healthcare spending of hospitals, clinics and pharmacies was relatively flat, with a growth of just 1 per cent over the last 12 months. Sectors that remained unchanged included jewellery and insurance services. Sectors facing negative growth included electronics and automobiles, which fell by 15 per cent and 9 per cent, respectively. These sectors typically have a very high price per transaction, which indicates that customers have shied away from large ticket purchases. 2018 was also a breakthrough year for contactless payments with a quarter of all UAE transactions contact-less. This was driven primarily by both the increased penetration of contact-less cards and usage of digital wallets. Mashreq is a significant acquirer and issuer and has played a major role in developing this eco-system, noted Kundra. Mashreq cards can be used on Apple Pay, Samsung Pay, Google Pay, as well as on the proprietary wallet Mashreq Pay; on acquiring business, almost the entire Mashreq point of sale network has been enabled to accept contact-less payments. While brick-and-mortar merchants have already expanded their product offering into the e-commerce space, this expansion may be at the cost of the cannibalization of their traditional business, through the equivalent growth in their e-commerce channel. However, merchants who have been unable to expand their offering into the e-commerce space can expect to lose business to innovative and multi-channel competitors. The growth of e-commerce marketplaces, such as Souq and Noon, is encouraging increased confidence in buying online, which in turn is driving this growth. The UAE is also seeing a rapid rise in the use of e-commerce service providers like ride aggregators, who have delivered growth of 12 per cent, and food delivery services have seen a growth of over 100 per cent. This is a very exciting and interesting space poised for exponential growth in 2019 and beyond. The UAE continues to maintain its position as one of the most popular tourist destinations in the world; 25 per cent of card spending in the UAE is made by international travellers. This international spending grew by 6 per cent during 2017. In 2018, visitors from Saudi Arabia accounted for 20 per cent of overall international spending followed by China, the US, the UK, Kuwait, Russia and India. The impact of the strategic partnership between the UAE and China, via initiatives like Hala China, saw Chinese spending grow by over 50 per cent in 2018 compared to the same period in 2017. Furthermore, Mashreq launched Alipay as a payment acceptance option for its merchants to capitalize on the growth in Chinese customers in April 2018. Since its launch, Alipay has been deployed at more than 800 locations and the volume of transactions has increased forty times. Mashreq also works with its merchant partners on promoting their offers on the Alipay app, encouraging increased footfall and sales. Any analysis of spending in the UAE would not be complete without reference to the White Friday sales. As expected, there was a sharp jump in the daily average sales volumes during November’s White Friday sale. The volumes during the period were 79 per cent higher than the daily average for the rest of the month, and the highest volume categories during the period were apparel, dining, services, department stores and jewellery. The spending was high for both e-commerce merchants and across shopping malls. This highlights that UAE merchants were pro-active exploiting opportunities (and euphoria) around White Friday.